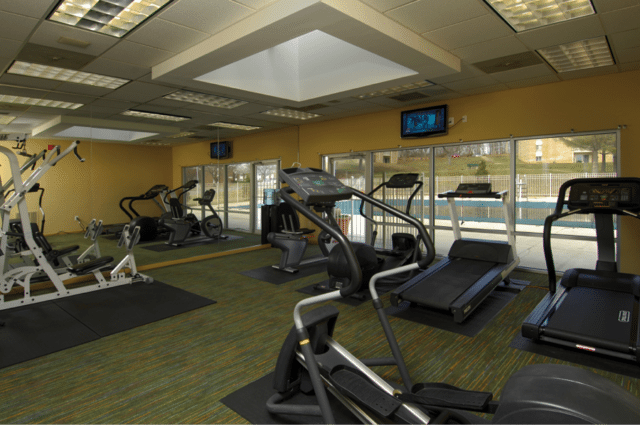 The residents of ROSS’ Crestleigh Laurel, MD, apartments have everything they need to make a cool impression this summer in their newly upgraded fitness center. The residents of our ROSS Crestleigh Laurel, MD, apartments can step into the warm weather months of the year with fit and toned summer bodies, courtesy of our brand new fitness equipment. It’s easy to sculpt your dream body with these efficient machines, right in our building. Don’t take our word for it – read on to learn about some of the ways our equipment will equip you with a healthy, flauntable shape. These cardio machines both offer full-body workouts by engaging different muscles of the body and increasing your heart rate to burn more calories. Treadmills offer a great amount of versatility in terms of speed, incline and pre-set training programs, while the elliptical is a great choice for those looking to reduce the amount of impact on their body. This machine helps define your chest, biceps and triceps. In addition to sculpting those areas of your body, you’ll be helping your body achieve more difficult movements later on. With these targeted machines just a couple of steps away, you’ll have all that you need to get and stay in great shape for summer. Now that you know all of the ways that our upgraded fitness center takes care of your body, join a community that’s dedicated to taking care of all your needs. Stop by ROSS’ Crestleigh Laurel, MD, apartments for a tour today!